One Little Box, Can Change it All. Never Underestimate What Small Can Do. 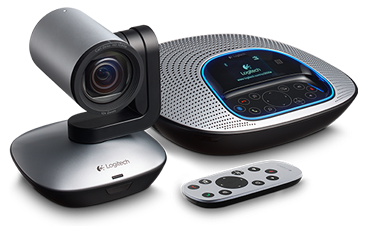 The RVC100 - Room Video Conferencing system for Skype for Business is Vytru's first device in our new line up of Skype Room Systems. The RVC100 brings Plug and Play simplicity, compact form factor, new Skype for Business features, and a clean and simple user interface to the conference room. Designed for small rooms and huddle rooms, RVC100 offers support for On-premise Skype for Business and Skype for Business Online Deployments. Skype for Business is becoming the platform of choice for small and midsize businesses for their day to day communications and collaboration needs. Your end users love the fact that it is so simple, familiar, and mobile. Whether they use it on their desktop, laptop, tablet, or smartphone. Now make it possible for them to use it when they go to the huddle room to meet with other remotely. Keep a unified and single experience for all your users no matter where they are. Our customers love RVC because it is so easy to setup a new device, and configure. it does not really end here for the IT guys, they do not even have to train end users on how to use or interact with the system because it is strikingly simple to. Those organizations are able to enjoy same-day video conferencing and collaboration that every one can easily use and enjoy. No matter if you are running Lync On-Prem or Online, or if you have upgrade to Skype for Business On-Prem or Online, you will still be able to roll out an affordable, feature-rich, and easy-to-use video conferencing solution for your end users. We do not lock our devices to a specific environement, we even support hybrid deployments of Lync or Skype for Business. Book the meeting room from Outlook, or from the Room itself, see your daily or monthly calendar, and join meetings with one click. You can either view a rich meeting card with meeting subject matter, attendees, and organizer contacts cards, or set those calendar meeting to be private. Access the full mothly calendar to view future meetings, or book available time slots. We are also introducing the new timeline, which will shows the free time slots, you can book in the Day View. The RVC100 is designed to empower the huddle rooms and small meeting rooms spaces in the modern workspace. Empower your end users with the ability to connect with video to remote workers, customers, and partners. It is not just about video communication, but also unique video collaboration features as well. RVC100 connects to single displays, USB video conference cameras, and USB audio systems. The RVC100 Room Video Conferencing system for Skype for Business enables you to connect it to the camera you love, and the camera that works better for your room size. Based on the size, and the video quality you need you can choose the best USB camera from a wide range of cameras in the market. To help make the right decision, we will name a few that we tested and certified for the system. Does not that make life easier?